Established in 2003, with three generations of the same family involved with the company, Abatis are a Family company with an eye firmly of quality and progression. Based in the centre of Grimsby, we have engineers providing quality cover to our customers in the Lincolnshire, East Midlands and South Yorkshire areas. With a fully manned office with appropriate support staff and key account management in place, we aim to provide a high quality personalised service for customers large and small and whether you are residential, commercial, industrial, private or public sector customer. Abatis has a long tradition of providing opportunities to young people with many of our staff being trained by us from scratch. We support our team with ongoing training opportunities and encourage continued development both in and outside of their workplace. This is further reflected in our approach towards new techniques and technologies where we constantly test the market to ensure we provide the latest and best services to our customers providing best value solutions tailored specifically for the individual home, business or organisation. Our company aim has and always will be to achieve excellence across the range of services we offer and the experiences we offer to our customers. With NSI approval since 2003, we set out our stall early and have added approvals and memberships to ensure our standards are high. See our accreditation’s here. Headed by the Company Director with nearly 30 years in the industry, we offer nearly a century of experience with a vibrant mix of traditional trade skills and youthful enthusiasm for the latest technologies. Coupled with a customer focused and experienced team in the office, we aim for the highest possible quality service and experience and the most competitive prices. 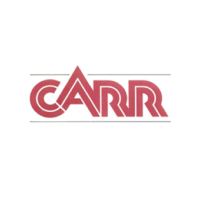 Dave Carr, Co-Managing Director, Carr & Carr (Builders) Ltd.